Video 1 explains the principals of surface panelling with para 3D in 3ds max: the correlation of your panel surface to your panel objects. 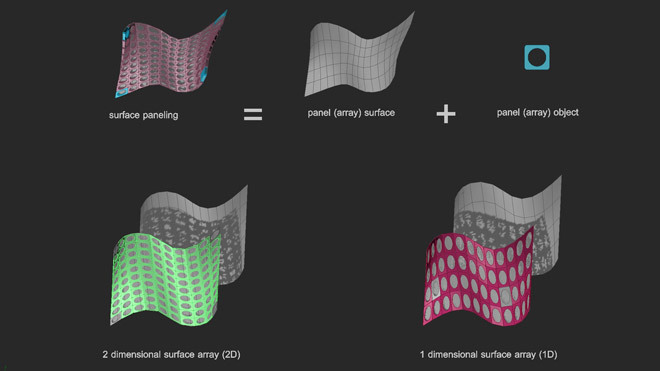 Video 2 explains what the geometry of a panel surface has to look like for a successful surface panelling in para 3D, a parametric plugin for 3ds max: topology, singularities, multiple surfaces, 1 and 2 dimensional array. What does the topology of the surface has to look like?